Before we get into the lemming like behavior of Diane Feinstein, the follower of President Obama, and rarely a leader; the reader will enjoy the WSJ’s take, The Monster That Ate Congress . 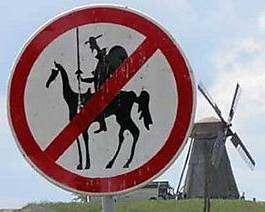 Apparently Dianne Quixote would prefer tilting at windmills than facing reality. 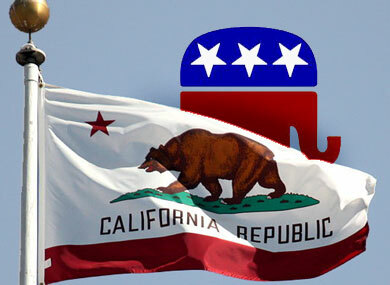 That’s why California voters will send her home perhaps a consultant to a Chinese wind mill company as a paid lobbyist. Of course frequently out of touch and behind she would not be aware of the recent findings that Wind farms make climate change WORSE: Turbines actually heat up local areas. The 78-year old senator is tired and incapable of keeping in touch with the rapidity of change in the current century. As she runs for a fifth term is there any doubt California’s voters will have awakened from their 4 term slumber and send Feinstein packing? None at all. For the first time in her entire career she will be facing the fight of her live with Elizabeth Emken, who served in management, financial analysis, and corporate operations at IBM. As an efficiency and cost cutting expert, Elizabeth utilized activity-based cost analyses to identify administrative savings across IBM U.S., helping streamline operations, eliminate waste, and save the company millions of dollars. Elizabeth graduated from UCLA in 1984 with degrees in Economics and Political Science. Her studies included course work at Cambridge University, where she focused on political and economic issues in China and the Middle East. She is far better suited for the challenges to be faced during her tenure as a U.S. Senator once you help win the June 5th primary in California and then on forward to November 6th where she will be leaving Mrs Feinstein with a message; phone U-Haul and even provide her with the number. Once again showing that she remains out of touch and seemingly confused Feinstein tells us Justice Kagan would recuse herself from health care deliberations in the Supreme Court then contradicts herself by saying that Justice Kagan will be impartial and able to make the decision based on the law. Which is it senator? Although Democrats promised greater consumer protection, the overhaul does not give the federal government broad regulatory power to prevent increases. . . . “It is a very big loophole in health reform,” Sen. Dianne Feinstein (D-Calif.) said. Feinstein and Rep. Jan Schakowsky (D-Ill.) are pushing legislation to expand federal and state authority to prevent insurance companies from boosting rates excessively. ( There she goes again pushing for a bigger government, when less government and the private sector will the answer..